C&D Desktop allows you to reveal the hidden depths of your business data by putting it on a map so as to better identify location-related phenomena. 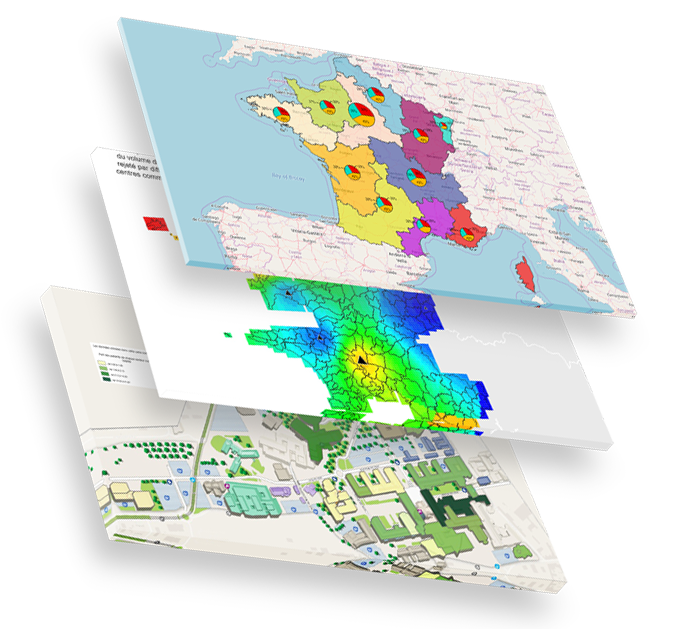 Its intuitive interface allows you to create your maps and analyses in just a few clicks, in order to print them out or to enrich your presentations and reports. Your decisions are strengthened by location analytics; your communication and efficiency improve to maximize the management of your business. Clients, turnover, offices, factories… you have masses of data whose geospatial dimension is not properly taken into account. Map this data and analyze it from your desktop in order to instantly spot the strategic information that will allow you to make the best decisions. Thanks to your analyses, you can see at a glance where you need to act first and what you need to do to boost your performance. C&D offers more than 50 cartographic and statistical features to help you reveal the hidden depths of your data and answer your questions. Customize the layout of your static maps with the numerous tools available, and export them in the format of your choice: png, jpg, gif, tiff, wmf, emf, bmp, multilayer vector PDF…). 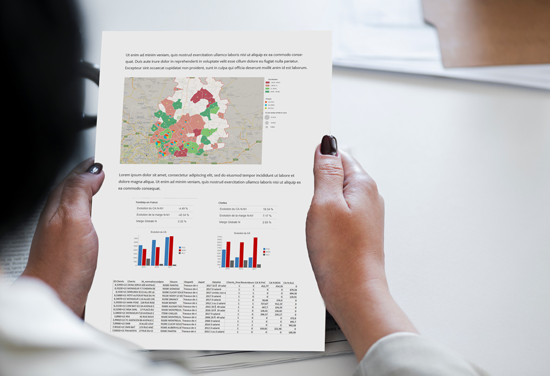 Add your maps and enriched data to your presentations and reports: you will provide your collaborators with a new perspective and help them find answers to their questions. Your analyses are precious, and so is your time! Do you have to create regular reports on your analyses? Automate their generation in C&D: your data and maps are inserted automatically in your custom report template. All you need to do is share your document! 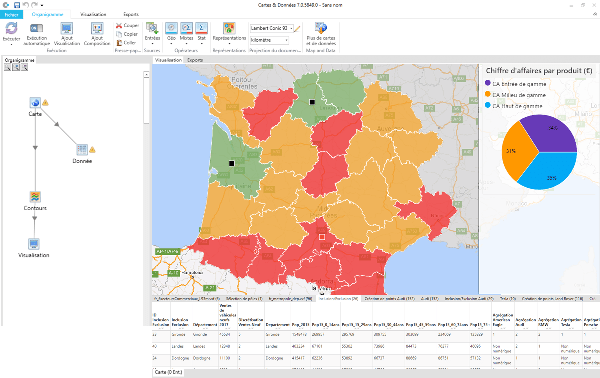 Make the most of your data and create relevant maps, reports and analyses to make your decision-making process easier. Start your free trial of C&D now! We’re using C&D Online to monitor the profitability of our agencies. It allows us to immediately visualize their performance and to implement the most adapted action plans to challenge our local network. Visually representing our KPIs on a map is also a very powerful tool for our communication. From 4 to 16 Go, depending on the number of geographic entities and on the amount of data to process. Our mapping intelligence solutions help you make the best decisions. We can also help you select the solution best suited to your needs.